Antler Creek Golf Course, El Paso County's finest daily fee golf course, provides an outstanding golf experience at affordable rates. Antler Creek's six sets of tees will provide challenge and enjoyment for every caliber of golfer. This Rick Phelps designed course that opened in 2004, has wide fairways that artistically wind through Woodmen Hills and Meridian Ranch communities. This course challenges the player and is a pleasant mix of Colorado terrain and native grasses that blend nicely to create a "prairie dunes style" course, which is unique to the Pikes Peak region. 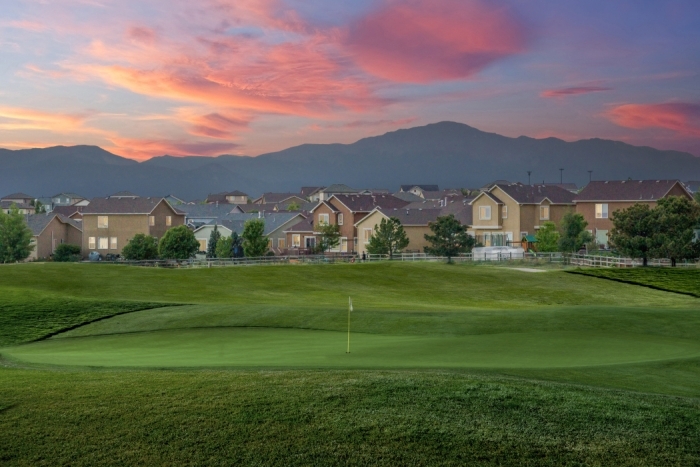 The course measures over 8,000 yards from the tips making it Colorado's longest golf course. It features three lakes and 73 bunkers contributing to its selection by Colorado Avid Golfer as the best new course in 2004.